Know you need referrals, yet have no idea how to go about it? Then join Amy D. Kilpatrick as she shares her strategies on how you can identify your ideal referral partner. 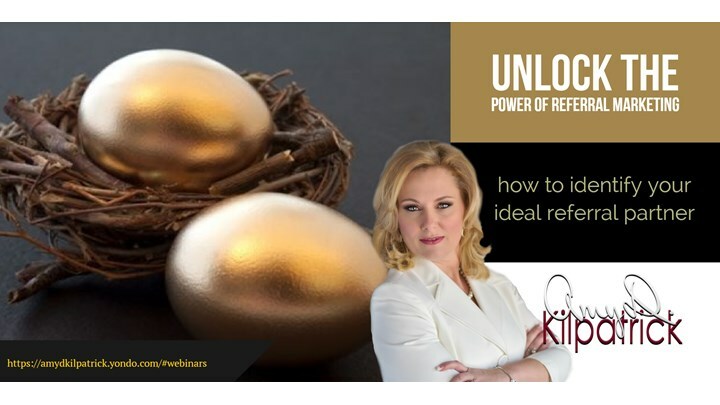 In this recorded webinar series Unlock The Power of Referral Marketing, she continues to take you step-by-step through the process of building a sustainable growth development plan.